Those of the older generation generally regard their doctor as being someone of extreme importance, someone to look up to and be admired. This gives some doctors a sense of of superiority that they carry with them as they practice their ever diminishing skills. I sincerely think that doctors of the past used their skills as physicians much more and were more deserving of their high status. Whereas modern doctors seem to be hampered by dogma and directives from all quarters. Our future doctors, God help us! I remember when visiting my Mum in hospital (where she died of aspiration pneumonia due to lack of care and negligence). We were walking up the staircase after visiting her, when a group of young medics came charging down the staircase, completely ignoring those coming up and barging past like a herd of buffalo. Whether they were medical students or interns I don’t know. I know they were all wearing white coats and all had the ubiquitous stethoscopes around their necks. No apology was offered to a woman they knocked into the wall as they rushed by giggling and shouting. These, I thought, are our future doctors, God help us! Just out of interest, today I did a search on google. I just put in “doctors are” to see what search suggestions came up. I think most doctors would be upset with the result. 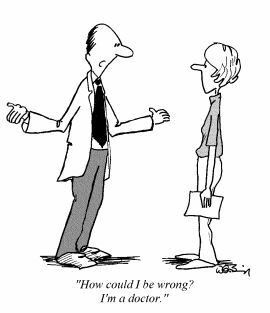 Arrogance on the part of doctors, nurses and and other healthcare providers seems to be commonplace and students and others starting in the field of medicine are obviously going to emanate this conceit. I am now a doctor! A number of factors could lead to this self-importance including being licenced, which converts doctors into elite and privileged members of society. 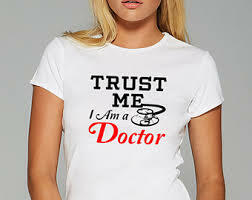 “Trust me, I’m a doctor” is a common saying and it is how most of the public see their doctor, as someone they can trust. Unfortunately that trust is deteriorating as more people are disillusioned by modern day practices and corruption within the medical profession. The terminology that doctors use which is often myserious to the patient, puts the doctor in an elevated position of power. The patient becomes the underling and is quite happy to assume inferiority as long as he feels he can trust his doctor will do him no harm. 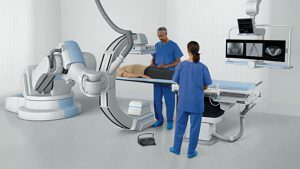 Doctors, nurses and other medics often use state of the art equipment worth millions of dollars and this can give them a sense of importance. 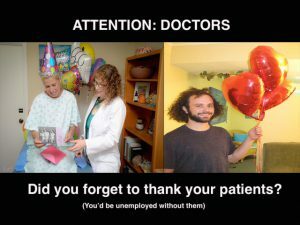 There always seems to be a shortage of doctors and other medical professionals which will also up their status. Being a medic gives them instant credentials and instant respect from the general public. Doctors don’t have to compete for their work like other professionals who are kept in line by competition with others of their trade. The media, often led by big business and big pharma, talk about the wonders of modern day medicine. The statistics tell a different story with some people now NOT living as long as their parents and drug induced illnesses and conditions rising year on year. Even so, the trusting public still go along with all the falsehoods that big pharma pontificate which means their doctors are also going along with the lies and corruption, especially when it is apparent that ‘incentives’ from big pharma are plentiful. 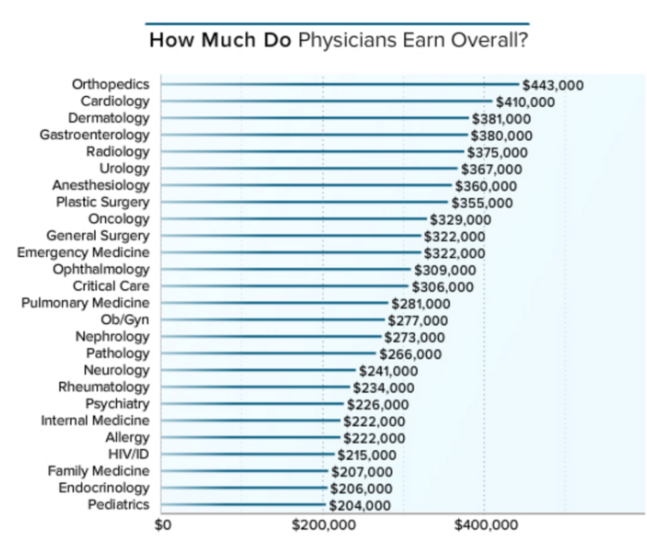 In the US orthopedic physicians earn $443,000 per year and are one of the top earners. Pediatrics earn $204,000 per year and they are at the bottom of the scale. In the UK general practioners earn around £80,000 and hospital consultants around £100,000 per year. These are basic salaries. How much can be added for perks and incentives was an unknown quantity but now, on this site, you can actually check and see how much, if any, your doctor in the US has received from pharmaceutical companies, who are now bound by law to disclose these figures. Media advertising is a powerful weapon for pharmaceuticals to get the public on their side. They spend shameless amounts on advertising and use press releases to boost the appeal of the latest drug or procedure. Brainwashing the public is a sure way of getting them off to their doctor asking for this latest innovation. It’s like the spider leading the fly to its web. Once caught the patient often will insist that he is prescribed this new’ life changing’ treatment which can quite often be a death knell for the unsuspecting patient. 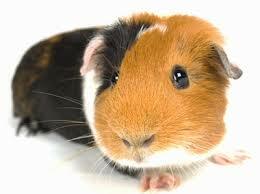 The doctor will oblige and the patient then becomes a guinea pig for this new and often poorly tested drug. You the patient should at least be warned that this drug is new and untested on humans but no, off you go and more often than not, back you’ll come with tales of woe about a plethera of side effects. Hopefully, your body hasn’t been damaged in the meantime. The drug must be safe, the FDA said so! Doctors are swayed and lulled into a false sense of security by the overtures of the pharmaceutical companies pushing their drugs. If they do receive ‘incentives’, they will justify them by convincing themselves that the drugs they’ve been touted, are the most up to date and the best on the market. They would be wrong in most instances and their patients could suffer as a consequence. The doctor who prescribed the inadequately tested treatment will excuse his dereliction of duty by convincing himself that the drug must be safe because the FDA (Food and Drug Administration) has approved it. The FDA has been proven to be less than honest as to what goes on behind their closed doors. They are in cahoots with Big Pharma and it does appear that Big Pharma is in charge. There are instances too numerous to mention where drugs have been known to be toxic and have serious side effects. Research is often ‘doctored’ to produce a favourable outcome and the drug can be pushed through the FDA without proper testing and sound research. Greed, patents and a lack of morals is what drives these massive pharmaceutical companies and they have the power to barge through laws and policies and make up their own rules. Their priority is financial and the danger of side effects and even death from their drugs is just ‘collateral damage’ to them. 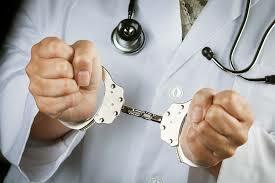 Are GPs unaware or shackled? Perhaps GPs are often unaware of what’s going on, too busy trying to make the best of their 10 minute slots they have allocated to each of their patients. This being the case in the UK anyway. Even so, they must be aware of the unrest and uneasiness by much of the public. Doctors are just pushers for the drug companies. They haven’t time to check out every drug that comes onto the market. They have to trust Big Pharma like we have to trust them our doctors. In a way, doctors have been sucked into the situation they’re in and many of them are troubled about the way medicine is going. But if they rock the boat, they are likely to be admonished, so they keep the status quo and keep their heads down. It is very difficult to run a doctor’s surgery, a hospital or a medical laboratory without patients that need drugs, procedures and services. If you look at it from the perspective of the medical professional, their careers depend on patients. If there was suddenly a cure for heart disease, what would happen to all the cardiologists? If depression was a thing of the past, what would all the psychologists do? Supposing cancer was cured; what would happen to all those oncology doctors and consultants? There is a financial conflict of interest. If you the patient suddenly became very healthy and didn’t need their services any more and if this happened on a grand scale, there would be many medical professionals out of a job. This scenario has to be kept in mind when you are being treated by your doctor. He may not admit it, but he wants you to come back and get another prescription and when your condition doesn’t improve, no doubt he will have another drug to hand which he can add to your list of tablets. This helps his income. He needs patients to keep his career flourishing and to keep the status quo. I’m afraid it is just human nature. You, as the patient, must be aware of this fact and do what’s best for you, despite what your doctor may advise. Take his advice but do your own research on your condition/s. Is there an alternative? Will the drug he’s prescribed help or harm you? Check the drug’s side effects and look for articles and stories about the drug’s efficacy. Check what the drug actually does to your body. Does it turn off an enzyme? Does it stop a natural process within your body? A couple of examples of this are ‘Statins’ which actually stop an enzyme working and ‘Nexium’ which is a Proton Pump Inhibitor. A healthy baby is born with all the vitamins, nutrients and minerals to have a healthy body and mind. When something goes wrong, is it not because a toxic drug is needed. If we consume rubbish food and drink, with junk ingredients and deficiencies in nutrients, our body will start to fail and will succumb to all kinds of conditions and diseases. This is what causes us to be sick. It’s not the lack of a drug, it’s the lack of healthy nourishment. Rubbish in, rubbish out applies to our bodies too. If you eat junk food, take in too much alcohol and sodas, smoke cigarettes, consume large amounts of sugar and artificial sweeteners, use recreational drugs, what can you expect. You WILL succumb to bad health and diseases. It’s as simple as that and a toxic drug, in most cases, will not be the answer. One day our health will come full circle. That day is probably closer than you think. The public is becoming more aware of what goes on within the medical fraternity. They are becoming disillusioned by their medics and uneasy about prescription drugs. More and more evidence is coming to light of the suppressed research and corruption that has proven that drugs generally control a disease rather than cure it and can have devastating side effects to boot. Who wants to have their illness controlled for their lives, who would rather be cured of their sickness so they can enjoy the life they have, right into their golden years. We all want this and many of us can have it if we would just stop and think and do our own research. The doctors of the future will be those who prescribe alternative treatments. Those that work with the whole body rather than against it, those who have the knowledge of how the body and mind is made up, the nutrients, the minerals and the vitamins and how they interact with one another to balance a healthy body and mind and protect it from disease. Don’t be fooled, be smart! I can only assume that you’ve had some really bad experiences with doctors and medications to be so negative about them. It would seem that I have had quite a different journey to you because I have great praise for the doctors that I have come into contact with. My father’s doctor suspected that my father had bowel cancer when he had his first consult with him and my father was operated on a couple of days later very successfully and has not had any recurrence or need for any ongoing drugs. That was over 40 years ago. I note that you’re saying that older doctors are better than younger ones but I watched a doctor in an emergency room recently put on and tie up an elderly man’s shoes for him. Please don’t generalise and say that all doctors are just in it for the money. Like any profession there will be those who are just chasing the mighty dollar but I believe there are many more doctors who do it because they believe in what they are doing. I cannot imagine that anyone would become an oncologist simply for the money – dealing with frightened people at the lowest and most desperate point in their life every day would take more than just a pay packet to make it bearable. Doctors do years of training but no-one could possibly have an indepth knowledge of all the conditions and diseases that have been identified today. They are also more accountable and legally liable than they have ever been. I think we all need to take responsibility for our own wellbeing and, as you say, eat well and exercise. We all have access to plenty of research online and can read about the side effects of drugs more readily than ever before so we can take responsibility for our own health in that way as well, and make informed decisions about our own health and treatment. Not all doctors are on the drug bandwagon. A doctor I know has trained in hypnotherapy and is starting training in acupuncture – I think that is the face of doctors of the future. If the number of patients decreases by finding cures for cancer and the like, more doctors will have the time and motivation to expand their offerings into alternative, holistic therapies. That, for me, would be a beautiful thing. 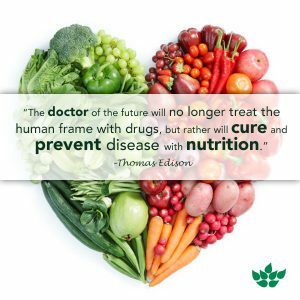 If we can combine technology, cures and a focus on preventative treatments we would certainly be headed in the right direction! In my case, my parents’ doctor sent my father home with nothing but the words “what do you expect at your age.” These were his exact words and the worst thing was, my Dad agreed with him! Dad didn’t go to the doctor again. Two years later, when rushed to hospital they found….bowel cancer. He was immediately put on palliative care, no doubt because of his age, he wasn’t worth operating on. Funny thing is we come from a long line of longevity with my great great grandfather living until 99; he was run over by a tram! Dad had a really strong heart, they actually told us that in hospital. They could have tried to save him but didn’t bother. Dad would have been happy to take his chances on the operating table, but still they wouldn’t operate. My Mum died in the same hospital of aspirated pneumonia through neglect and a lack of nursing staff over the Xmas period. She was also put on palliative care but the family had to keep a constant vigil night and day to make sure she was receiving her medication. On more than one occasion we found her writhing in pain because the nurses had not renewed her drip. Yes, doctors have years of training but they don’t train in the most important area of health and that’s nutritional balance of vitamins and minerals. It’s not their fault, its the fault of the system and those at the top running the medical fraternity. Unfortunately many at the top have affiliation with large pharmaceutical companies who have profits as their number one concern, not people. Until big pharma are kept out of the system, it will only get worse. The only way to combat this growing problem is to take your health into your own hands and educate doctors on what’s important ie. the root cause of diseases, not just controlling conditions with drugs which put an added burden on the body with the side effects. I totally agree with you about our doctors of the future. Unfortunately, many of these amazing doctors are ridiculed by allopathic medicine and them and the public often look upon these specialists as quacks. The ideal doctor to consult in my mind is an MD who is also a naturopath. Here you have the best of both worlds with naturopaths only resorting to drugs when all else natural fails. Loved the article, you hit the nail on the head over a lot of things I genuinely believe. it almost feels like Doctors interpersonal skills are almost nonexistent too these days. I recently saw one who hardly looked up at me throughout the entire consultation, this was with regard to a genuine ongoing medical condition so it’s not as though I am a malingerer lol. The same “professional” constantly and quite overtly checked his watch several times while I relayed my symptoms. I do have one doctor at the surgery who is amazing, makes a diagnosis, checks alternatives to her diagnosis and apologizes for keeping me waiting whilst she is double checking. I am over the moon with her questioning her omnipotence before packing me off with a one size fits all solution. Being a baby boomer, I can relate to what you said about older doctors. When I was a kid, our pediatrician still made house calls. So I watched the whole status of doctors devolve over time. Based on your article, I am convinced that now, when business i slow, they travel in hordes, barreling downstairs and putting people in the hoispital by knocking them down a flight of stairs or careening into a brick wall! Okay, so maybe I’m overstating it, but i can’t help but share your cynicism, especially where pharmaceuticals are concerned. I absolutely believe that pharmaceutical marketing has an enormous influence on our current health care – or lack thereof. One can only hope things will get better. And people, too! That was a great post Ches! The solution is in the education of the individual. We shouldn’t run to doctors but as you said, focus on proper nutrition and also include exercise in our day and practice stress relieve. Having some detox now and then might be not bad either but those three things mentioned before are the key elements of health. What a great post I loved reading this and found it extremely interesting and informative. I agree with you that the doctors of the past were a lot better than the modern doctors. The younger doctors are not at all polite when they talk to you and they seem to think they are superior.